Today, ASPI released James Manicom’s ‘Sources of Tension in the Asia–Pacific: Strategic Competition, Divided Regionalism and Non-Traditional Security Challenges’ . 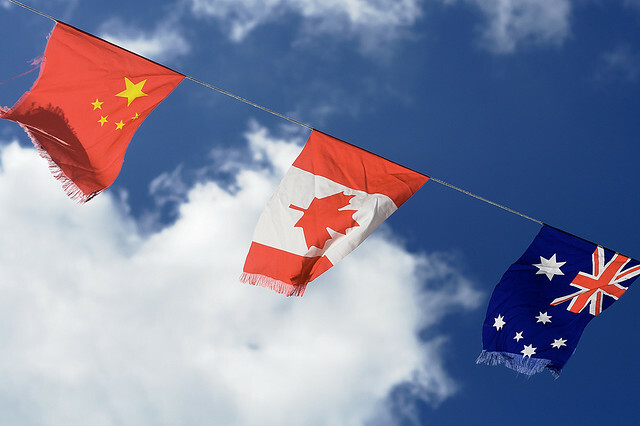 It’s the first in a series of three papers commissioned for a project that ASPI has been jointly running with Canada’s Centre for International Governance Innovation (CIGI). The project explores the rationale for and possible mechanisms of closer Australia–Canada defence and security cooperation in the Asia–Pacific. Manicom’s message is clear: he puts China’s rise front and centre in his analysis, arguing that Beijing poses the most serious strategic challenge to regional stability. This is partly due to China’s active defence posture and military modernisation, but also to uncertainties over the capacity and will of the US to retain regional primacy. Other key problems that he highlights include overlapping maritime boundary claims and the expansion of naval capabilities, unresolved sovereignty disputes on the Korean Peninsula and across the Taiwan Strait, and a number of non-traditional security threats that also have the potential to destabilise the region. According to Manicom, these challenges are exacerbated by what he sees as the fundamental inability of the existing regional security architecture to build trust between states. Viewed in these terms, the need for closer defence and security cooperation among states, especially middle powers committed to maintaining peace and stability in the region, looks like a ‘no brainer’. Australia and Canada certainly share this goal and both could and should play an active role in building the region’s security institutions. Like many others, Manicom regards Australia and Canada as natural partners in this respect, despite the vast ocean that separates them. Both are resource-based economies with a record of bilateral and institutional engagement in the region. And both are important US allies that share an interest in ensuring regional strategic stability that promotes economic growth. That’s all true, but Manicom glosses over the fact that Australia and Canada have different levels of engagement in the Asia–Pacific. Australia has actively and consistently contributed to the region’s major defence and security institutions for many years, whereas Canada’s record has been much patchier. These and other factors raise valid questions over how serious Canada’s commitment is, the extent to which closer cooperation would serve Australia’s interests, and whether the best forms of regional engagement by Canberra and Ottawa might be separate from each other. Despite these and other reservations that sceptics in both countries might harbour, ultimately, Manicom’s analysis makes a convincing case for closer cooperation. His discussion exposes the magnitude of the strategic challenges the region faces, and the need for middle powers to address these by engaging in modes of cooperation that are feasible, and have the best chances of being both effective and welcomed by the region. That’s the subject of the next two papers in this series—look out for them in the coming weeks. Tanya Ogilvie-White is a senior analyst at ASPI. Image courtesy of Flickr user jasohill .